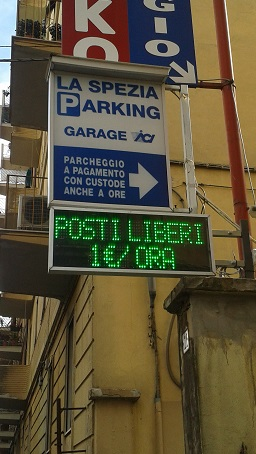 LA SPEZIA PARKING is always open for annual clients whose live in the area. They can open the two automatic doors of Via Francesco Crispi, 73 and Via Giovanni Costantini, 36 using a private and personal magnetic card. You can get us using our two entrance: the main in Via Francesco Crispi, 73 immediately before the entrance of the Supermarket Basko's parking, our second entrance is in Via Giovanni Costantini, 36 after Automobile Club La Spezia Offices. La Spezia Parking is your best solution to solve your parking problems.